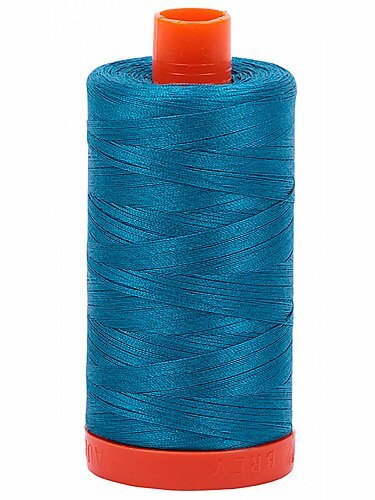 AURIfil Cotton Mako 50wt 1300m/ 1421 yd spool Color # 1125 Adriatic Blue. 50wt is the finest of the Mako threads and is very smooth and strong. 100% mercerized cotton. 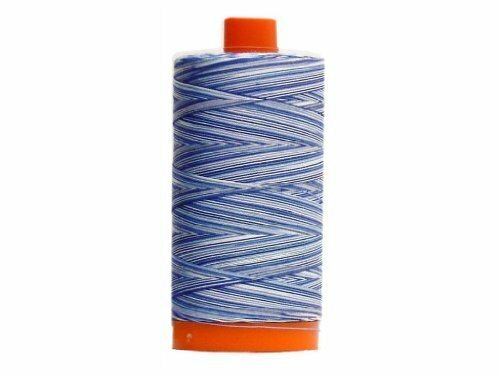 AURIfil Cotton Mako 50wt 1300m/ 1421 yd spool Color # 4655 Atlantic Blue Variegated. 50wt is the finest of the Mako threads and is very smooth and strong. 100% mercerized cotton. 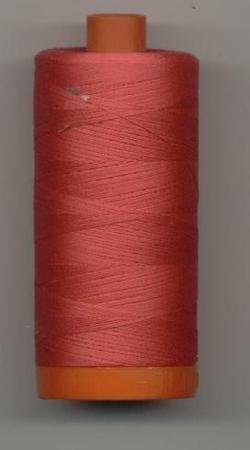 AURIfil Cotton Mako 50wt 1300m/ 1421 yd spool Color # 2530 Begonia. 50wt is the finest of the Mako threads and is very smooth and strong. 100% mercerized cotton. 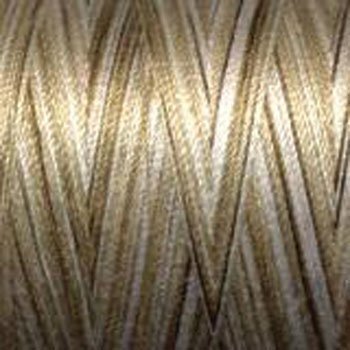 AURIfil Cotton Mako 50wt 1300m/ 1421 yd spool Color # 2000 Beige. 50wt is the finest of the Mako threads and is very smooth and strong. 100% mercerized cotton. 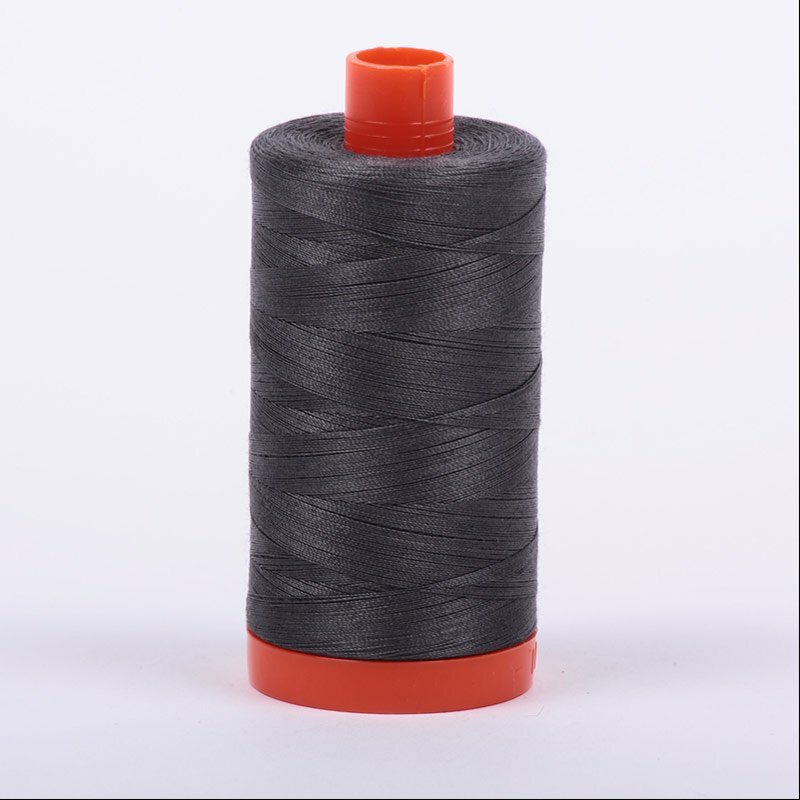 AURIfil Cotton Mako 50wt 1300m/ 1421 yd spool Color # 2692 Black. 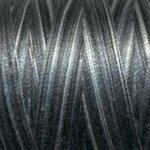 50wt is the finest of the Mako threads and is very smooth and strong. 100% mercerized cotton. 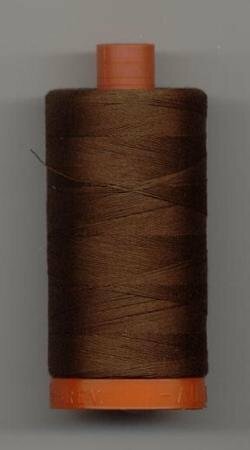 AURIfil Cotton Mako 50wt 1300m/ 1421 yd spool Color # 4667 Brown Variegated. 50wt is the finest of the Mako threads and is very smooth and strong. 100% mercerized cotton. 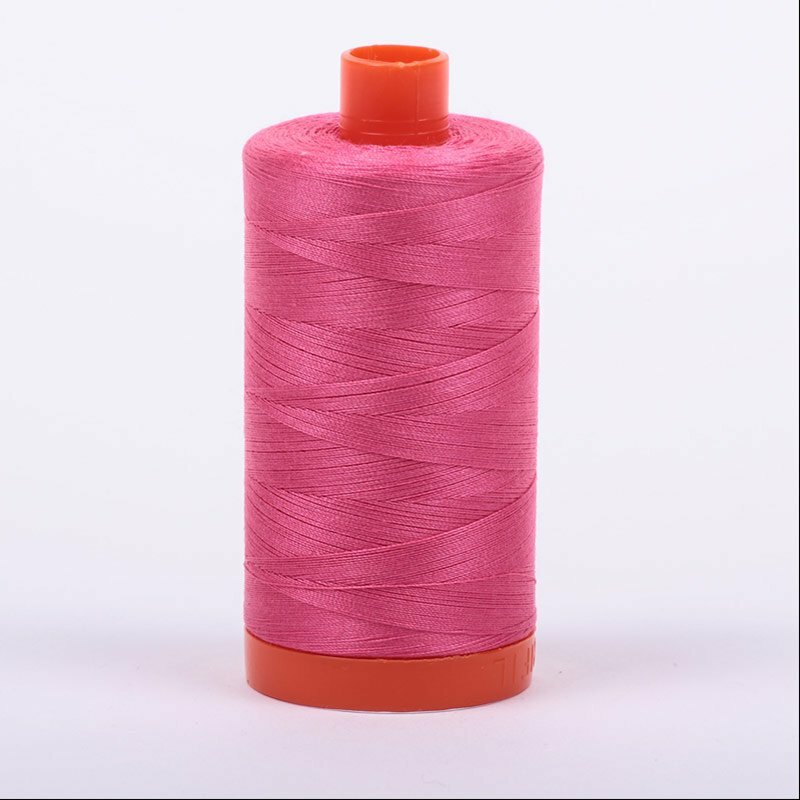 AURIfil Cotton Mako 50wt 1300m/ 1421 yd spool Color # 4660 Bubble Gum Variegated. 50wt is the finest of the Mako threads and is very smooth and strong. 100% mercerized cotton. 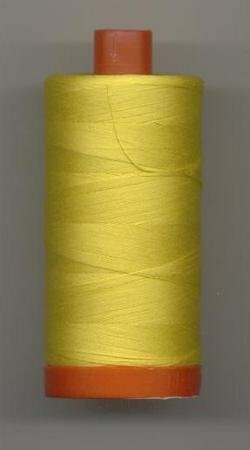 AURIfil Cotton Mako 50wt 1300m/ 1421 yd spool Color # 2120 Canary. 50wt is the finest of the Mako threads and is very smooth and strong. 100% mercerized cotton. AURIfil Cotton Mako 50wt 1300m/ 1421 yd spool Color # 4650 Chili Pepper Variegated. 50wt is the finest of the Mako threads and is very smooth and strong. 100% mercerized cotton. 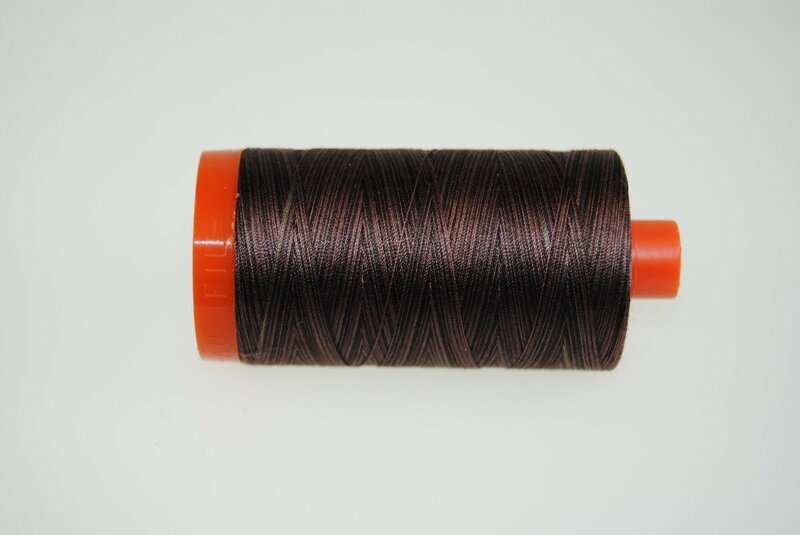 AURIfil Cotton Mako 50wt 1300m/ 1421 yd spool Color # 2360 Chocolate Brown. 50wt is the finest of the Mako threads and is very smooth and strong. 100% mercerized cotton. 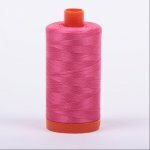 AURIfil Cotton Mako 50wt 1300m/ 1421 yd spool Color # 4647 Cotton Candy Variegated. 50wt is the finest of the Mako threads and is very smooth and strong. 100% mercerized cotton. 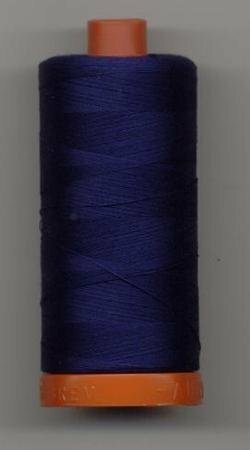 AURIfil Cotton Mako 50wt 1300m/ 1421 yd spool Color # 2740 Dark Cobalt Blue. 50wt is the finest of the Mako threads and is very smooth and strong. 100% mercerized cotton. 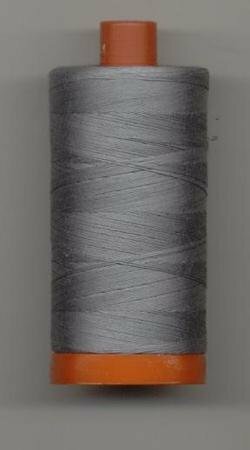 AURIfil Cotton Mako 50wt 1300m/ 1421 yd spool Color # 2605 Dark Grey. 50wt is the finest of the Mako threads and is very smooth and strong. 100% mercerized cotton. 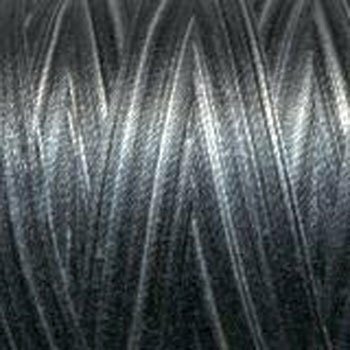 AURIfil Cotton Mako 50wt 1300m/ 1421 yd spool Color # 2630 Dark Grey. 50wt is the finest of the Mako threads and is very smooth and strong. 100% mercerized cotton. 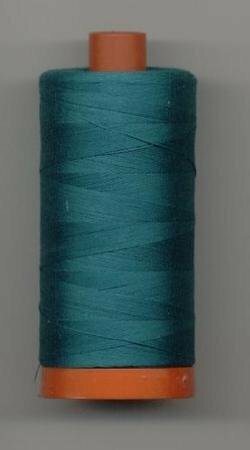 AURIfil Cotton Mako 50wt 1300m/ 1421 yd spool Color # 2784 Dark Navy. 50wt is the finest of the Mako threads and is very smooth and strong. 100% mercerized cotton. 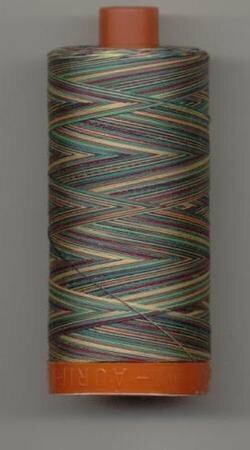 AURIfil Cotton Mako 50wt 1300m/ 1421 yd spool Color # 4648 Desert Dawn Variegated. 50wt is the finest of the Mako threads and is very smooth and strong. 100% mercerized cotton. 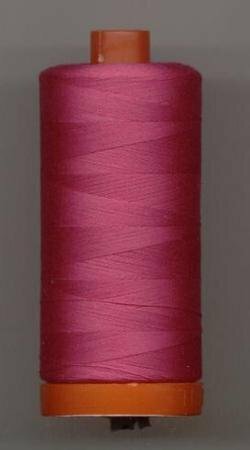 AURIfil Cotton Mako 50wt 1300m/ 1421 yd spool Color # 4020 Fuchsia. 50wt is the finest of the Mako threads and is very smooth and strong. 100% mercerized cotton. 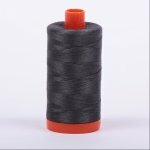 AURIfil Cotton Mako 50wt 1300m/ 1421 yd spool Color # 4665 Ebony Variegated . 50wt is the finest of the Mako threads and is very smooth and strong. 100% mercerized cotton. 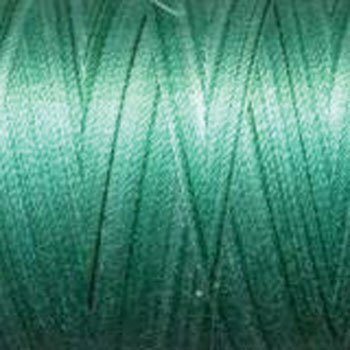 AURIfil Cotton Mako 50wt 1300m/ 1421 yd spool Color # 4662Green Variegated. 50wt is the finest of the Mako threads and is very smooth and strong. 100% mercerized cotton. 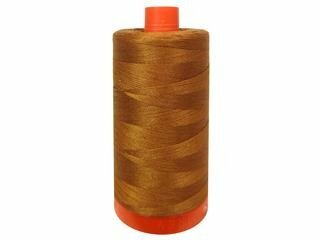 AURIfil Cotton Mako 50wt 1300m/ 1421 yd spool Color # 2155 Hazel. 50wt is the finest of the Mako threads and is very smooth and strong. 100% mercerized cotton. AURIfil Cotton Mako 50wt 1300m/ 1421 yd spool Color # 2021 Ivory. 50wt is the finest of the Mako threads and is very smooth and strong. 100% mercerized cotton. 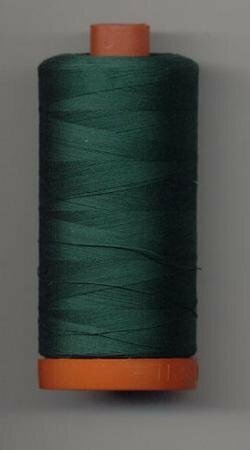 AURIfil Cotton Mako 50wt 1300m/ 1421 yd spool Color # 4093 Jade. 50wt is the finest of the Mako threads and is very smooth and strong. 100% mercerized cotton. 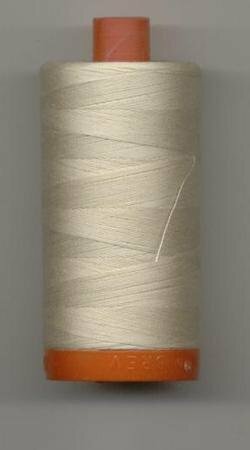 AURIfil Cotton Mako 50wt 1300m/ 1421 yd spool Color # 2310 Light Beige. 50wt is the finest of the Mako threads and is very smooth and strong. 100% mercerized cotton. 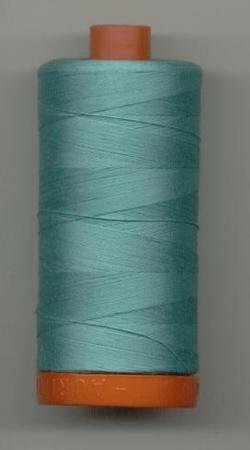 AURIfil Cotton Mako 50wt 1300m/ 1421 yd spool Color # 2610 Light Blue Grey. 50wt is the finest of the Mako threads and is very smooth and strong. 100% mercerized cotton. 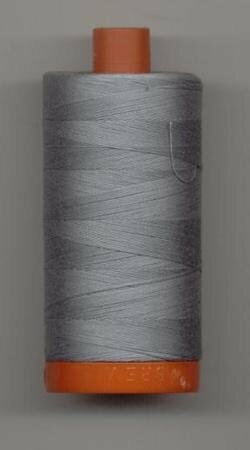 AURIfil Cotton Mako 50wt 1300m/ 1421 yd spool Color # 2600 Lt Gray. 50wt is the finest of the Mako threads and is very smooth and strong. 100% mercerized cotton. 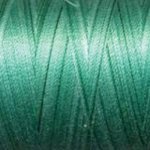 AURIfil Cotton Mako 50wt 1300m/ 1421 yd spool Color # 1148 Light Jade. 50wt is the finest of the Mako threads and is very smooth and strong. 100% mercerized cotton. 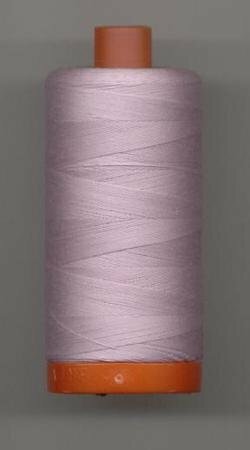 AURIfil Cotton Mako 50wt 1300m/ 1421 yd spool Color # 2510 Light Lilac. 50wt is the finest of the Mako threads and is very smooth and strong. 100% mercerized cotton. 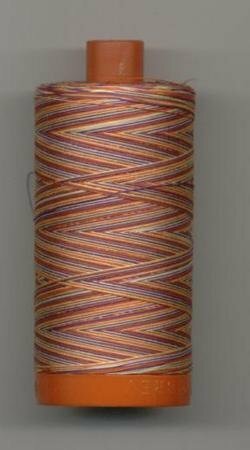 AURIfil Cotton Mako 50wt 1300m/ 1421 yd spool Color # 3817 Marrakesh Variegated. 50wt is the finest of the Mako threads and is very smooth and strong. 100% mercerized cotton. 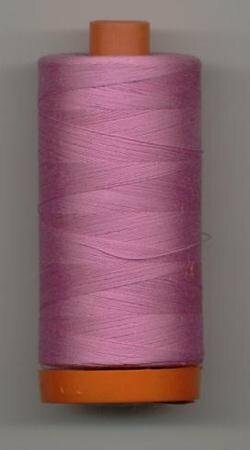 AURIfil Cotton Mako 50wt 1300m/ 1421 yd spool Color # 2479 Medium Orchid. 50wt is the finest of the Mako threads and is very smooth and strong. 100% mercerized cotton. 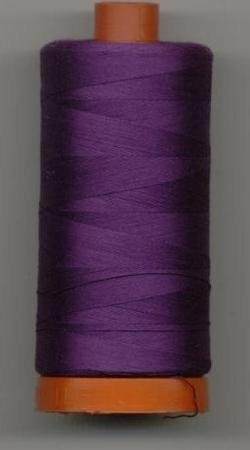 AURIfil Cotton Mako 50wt 1300m/ 1421 yd spool Color # 2545 Medium Purple. 50wt is the finest of the Mako threads and is very smooth and strong. 100% mercerized cotton. AURIfil Cotton Mako 50wt 1300m/ 1421 yd spool Color # 5002 Medium Red. 50wt is the finest of the Mako threads and is very smooth and strong. 100% mercerized cotton. 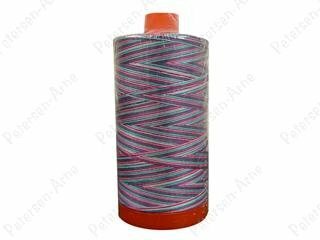 AURIfil Cotton Mako 50wt 1300m/ 1421 yd spool Color # 2885 Medium Spruce. 50wt is the finest of the Mako threads and is very smooth and strong. 100% mercerized cotton. 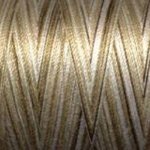 AURIfil Cotton Mako 50wt 1300m/ 1421 yd spool Color # 4671 Mocha Mousse. 50wt is the finest of the Mako threads and is very smooth and strong. 100% mercerized cotton. 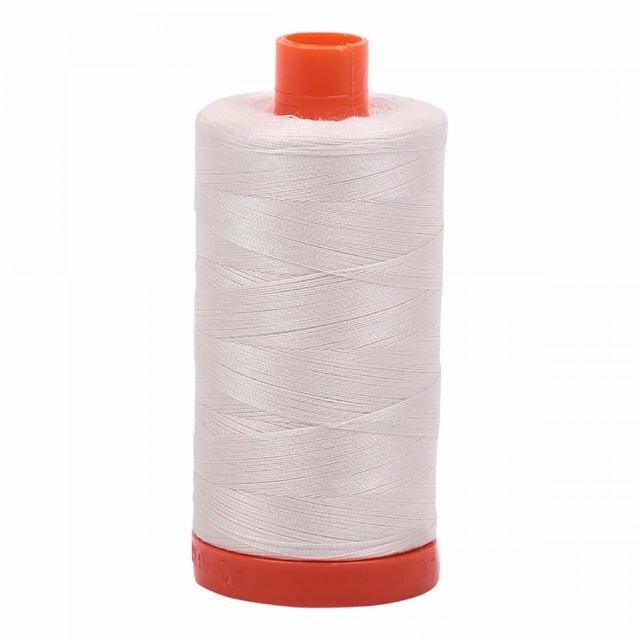 AURIfil Cotton Mako 50wt 1300m/ 1421 yd spool Color # 2311 Muslin. 50wt is the finest of the Mako threads and is very smooth and strong. 100% mercerized cotton. 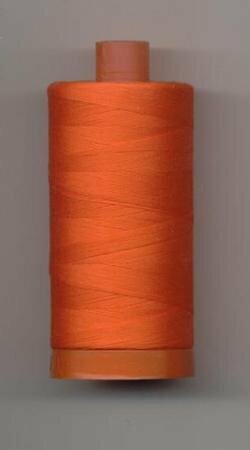 AURIfil Cotton Mako 50wt 1300m/ 1421 yd spool Color # 1104 Neon Orange. 50wt is the finest of the Mako threads and is very smooth and strong. 100% mercerized cotton. 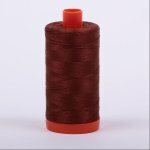 AURIfil Cotton Mako 50wt 1300m/ 1421 yd spool Color # 4012 Nutmeg. 50wt is the finest of the Mako threads and is very smooth and strong. 100% mercerized cotton. 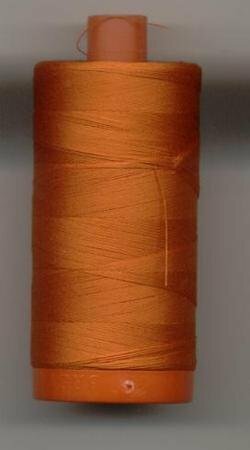 AURIfil Cotton Mako 50wt 1300m/ 1421 yd spool Color # 2235 Orange. 50wt is the finest of the Mako threads and is very smooth and strong. 100% mercerized cotton. 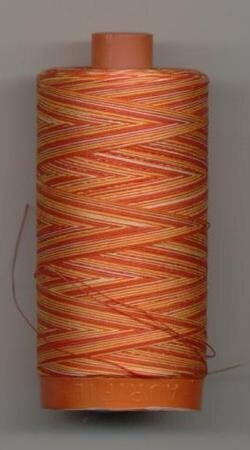 AURIfil Cotton Mako 50wt 1300m/ 1421 yd spool Color # 4657 Orange Variegated. 50wt is the finest of the Mako threads and is very smooth and strong. 100% mercerized cotton. 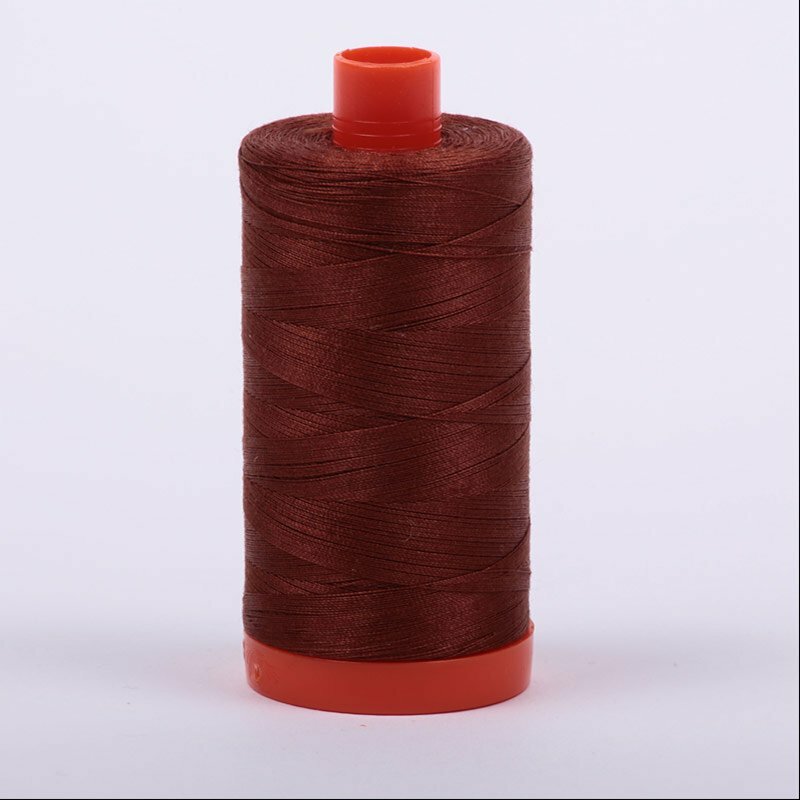 AURIfil Cotton Mako 50wt 1300m/ 1421 yd spool Color # 2395 Pumpkin Spice. 50wt is the finest of the Mako threads and is very smooth and strong. 100% mercerized cotton. 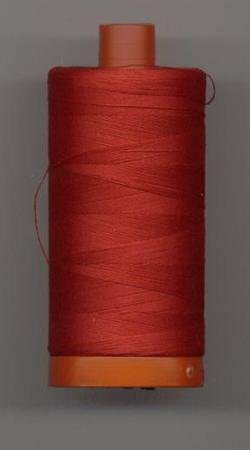 AURIfil Cotton Mako 50wt 1300m/ 1421 yd spool Color # 2250 Red. 50wt is the finest of the Mako threads and is very smooth and strong. 100% mercerized cotton.